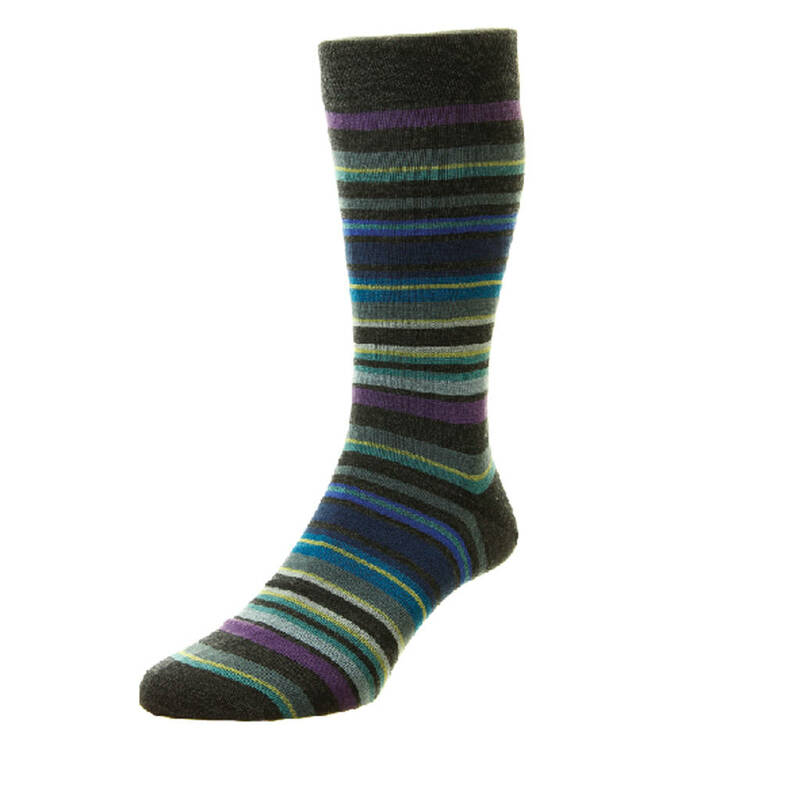 British Boxers Quakers merino wool socks with contrasting heels and toes are make in England in collaboration with Pantherella. 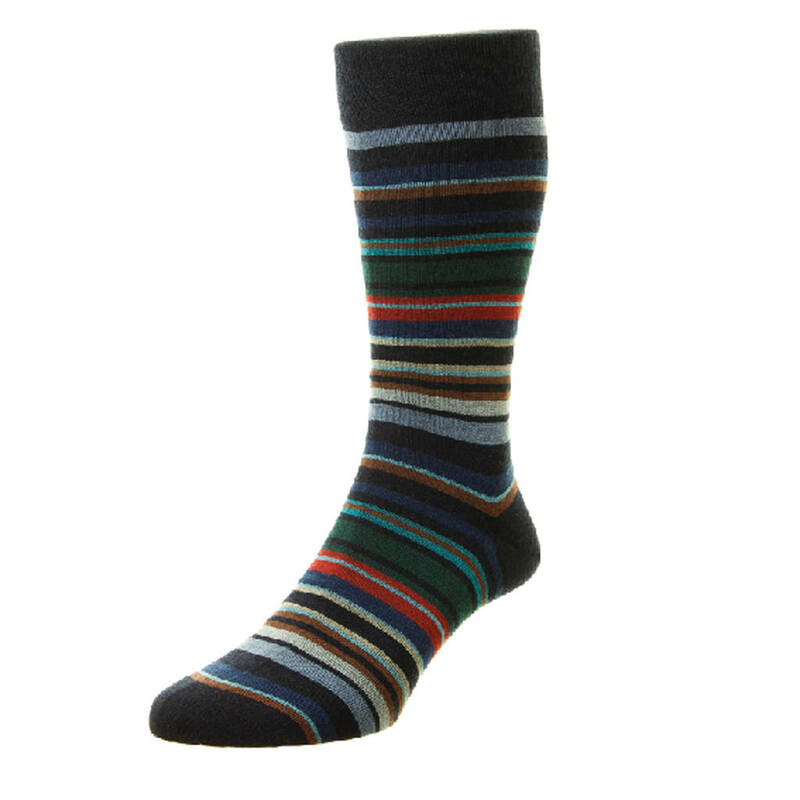 British Boxers Portobello socks are the perfect gift for the important man in your life. 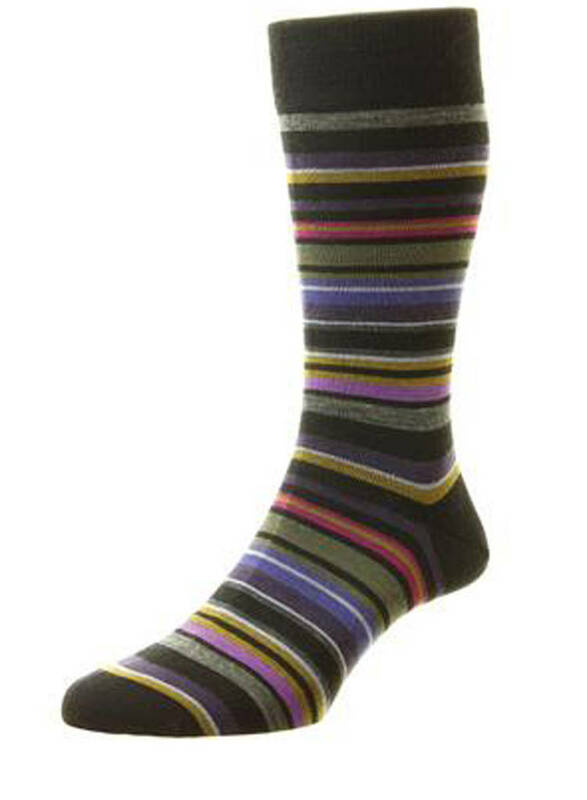 Not only are they of the highest quality, made from the finest cotton lisle but they are made in Leicester by Pantherella who have been producing the finest British socks since 1937. 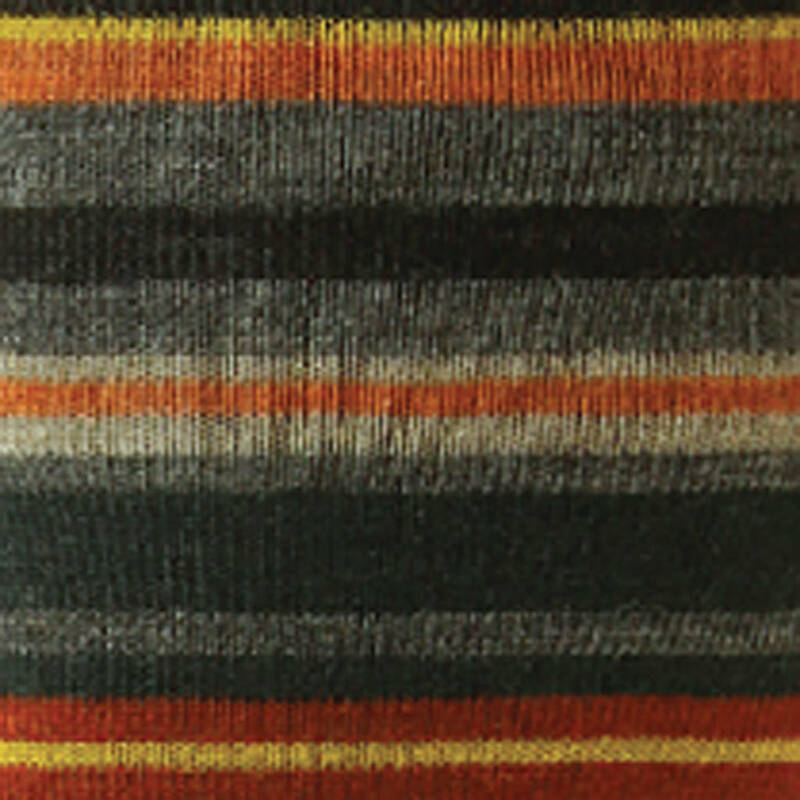 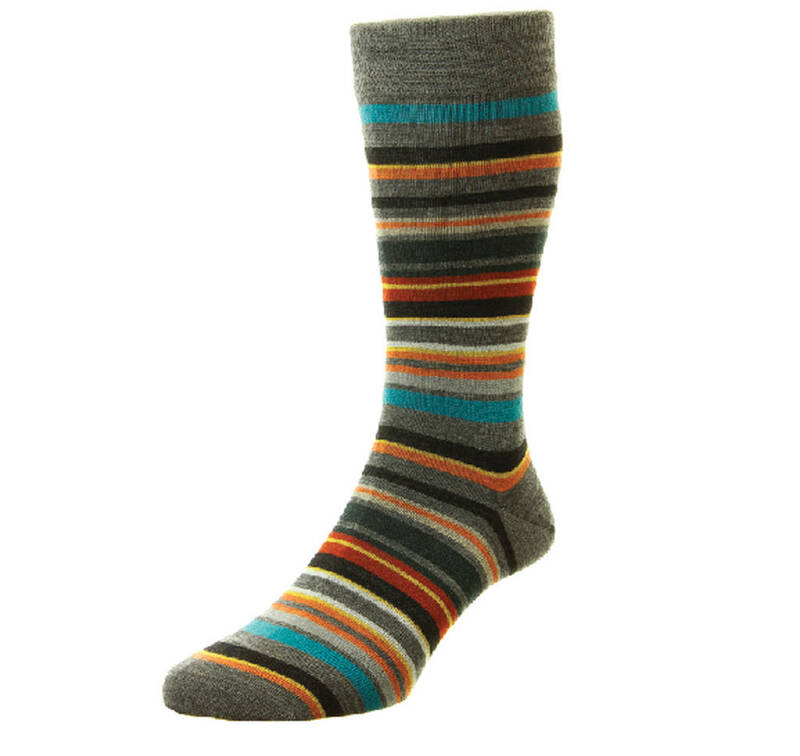 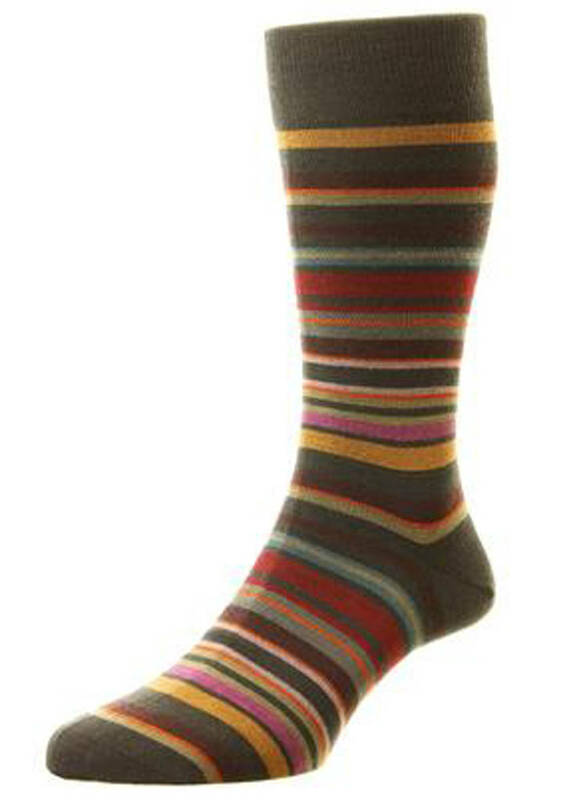 Quakers socks are available in Charcoal, Mid-grey and Navy all with multi-coloured stripes. Socks are available in Medium (UK 7.5-9.5) and Large (UK 10-12).